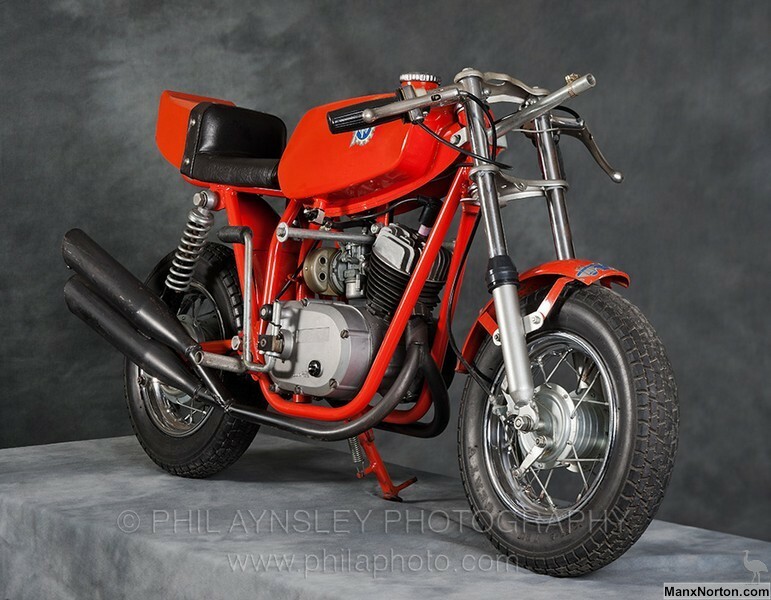 "Originally a single mini bike was built by MV as a present for the son of their rider, Phil Read, in 1973. That bike attracted a lot of attention so a limited number were produced during the rest of the '70s (no one seems to know just how many. A figure between 200 and 2000 has been mentioned). 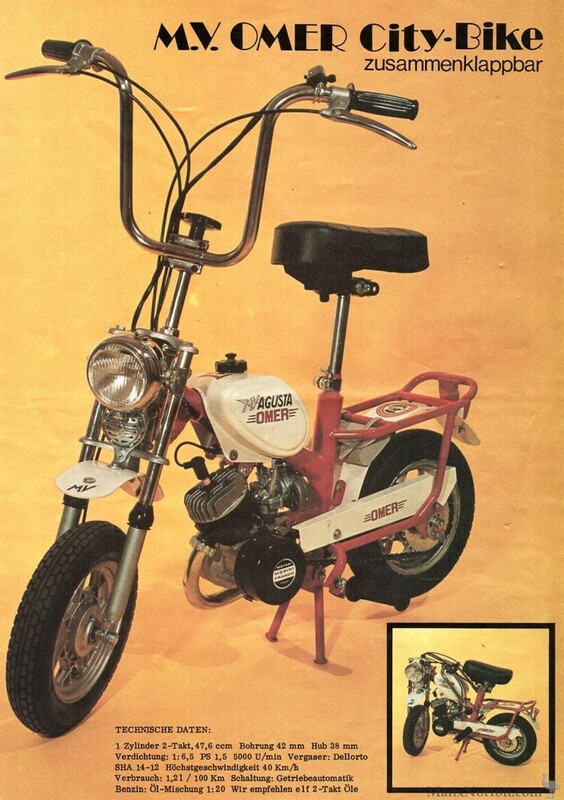 The Mini Bike Racing was produced in 3 versions, differentiated by their wheel size - 8", 10" & the much rarer 12". A Franco Morini 47.5cc 2-stroke motor was used." Folds up and can be packed into a bag.